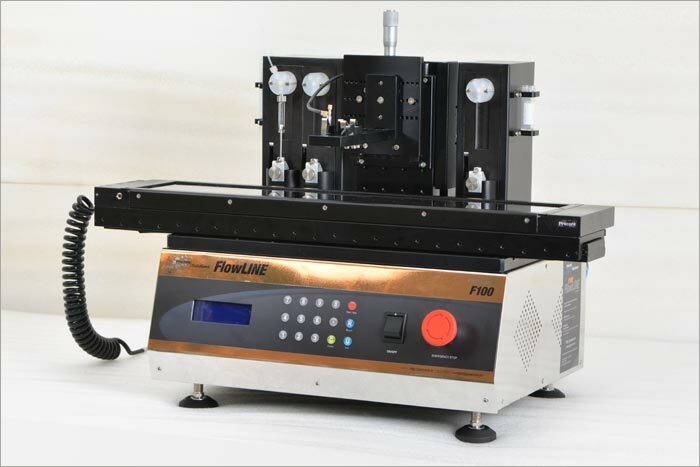 HOLMARC FlowLine F100 can be used for printing lines and dots in various substrates. 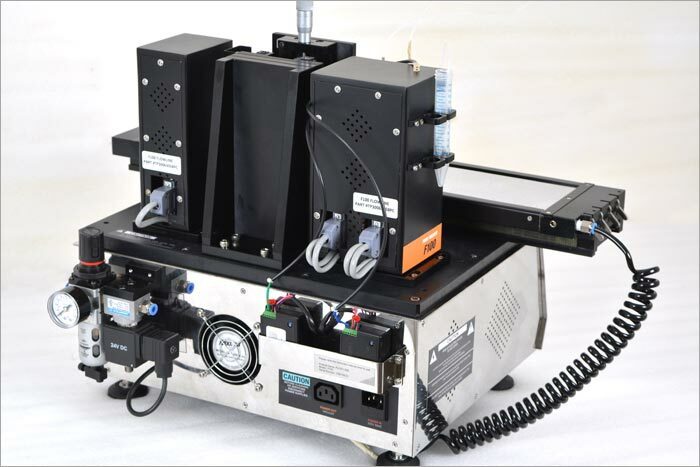 The standard machine has 3 pumps for line printing and one optional pump for conjugate spraying. Additional pump options are available. 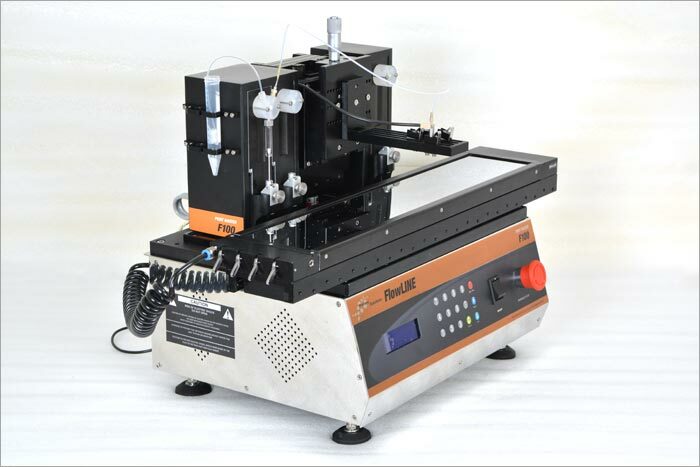 The short length tubing of this machine reduces the reagent wastage. The average out put is 120 sheets per Hour. Nozzles : Stainless steel solenoid valve controlled nozzles for non contact printing. Adjustable nozzle height and nozzle width. 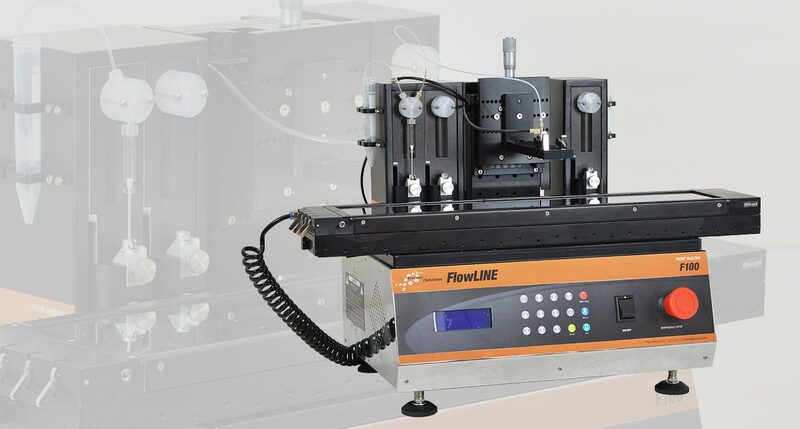 F100-02 : 3 pumps with 2 Non Contact printing nozzles, 2 Contact Printing Nozzles and 1 Spray Nozzle.